You almost never have a flat lie on the golf course, so it is important to practice your swing on sloping lies to develop feel and stability. The Cardiogolf ‘Slope’ is curved like a fairway slope. You can vary the angle you place your foot to practice varies sloping lies. 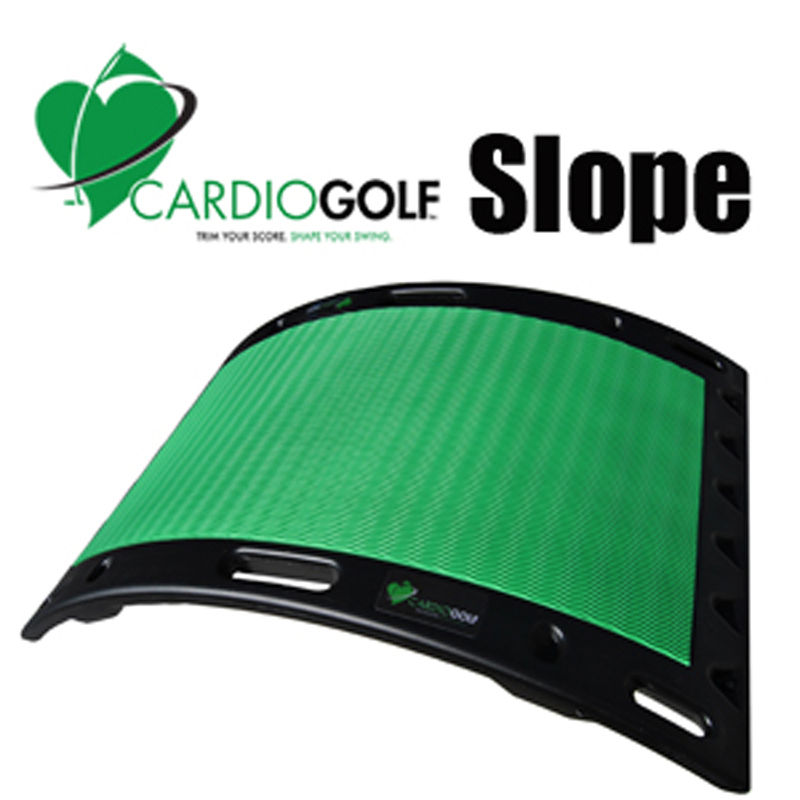 I developed the Cardiogolf ‘Slope’ to help golfers practice uphill and downhill lies, but it is also a great tool for exercise. You can do a variety of traditional low-impact exercises as well as strength, balance, core and even upper body exercises. Simulate an uphill lie by placing your front foot on a step or bench. Lean your weight slightly towards your back foot and hold a club or hand weight as if you were going to hit a shot. Swing to the top and stop to make sure that your weight is loaded into your back leg. Feel the weight on the inside of the back foot and keep the back knee slightly flexed. Step carefully over the bench and assume a downhill lie, angling your body towards the slope. Take a full swing and hold finish. Make sure you pivot off of your back foot. Repeat uphill and downhill lie drill for 8 to 10 repetitions.